Carla’s main practice areas are family law, crime and conveyancing. She heads our family and crime departments. Carla is on the police station and magistrates’ court duty solicitor panels. She is based at our Penmaenmawr and Llanfairfechan offices. In her spare time Carla enjoys golf and musical theatre. Iestyn leads our private client and conveyancing departments. 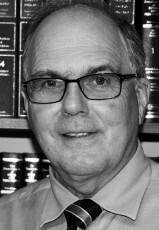 His other practice areas include civil litigation and employment. He is a member of Solicitors for the Elderly and the Agricutural Law Association. Iestyn is based at our Bangor and Llanfairfechan offices. In his spare time he enjoys mountain walking and other outdoor pursuits. Hugh’s main areas of practice are conveyancing, civil litigation and wills and inheritance. He also undertakes commercial work including intellectual property and insolvency. Hugh is a Notary Public. Hugh’s leisure activities include sailing. Formerly a keen mountaineer Hugh served with the Llanberis Mountain Rescue Team for almost 40 years. Jade joined Carter Vincent as a trainee solicitor having gained a first class degree in law from Bangor University. 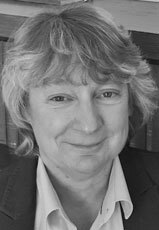 She is particularly interested in family law and her practice areas include conveyancing and wills and inheritance. Her leisure interests include keeping fit and baking and she often bakes cakes for the office! 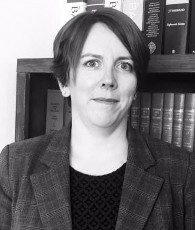 Jennifer joined Carter Vincent in March 2018 having previously worked for a national insurance law practice in the West Midlands. Her main practice areas are Private Client and Civil Litigation. Jennifer is based in our Penmaenmawr office. In her spare time Jennifer enjoys singing with the Military Wives Choir. You may contact us in either English or Welsh. Carter Vincent LLP is a limited liability partnership registered in England & Wales (company number OC367337). Carter Vincent LLP is authorised and regulated by the Solicitors’ Regulation Authority (SRA number 566521).